Today’s Throwback Thursday feature from the Australian Aviation archive is this March 2009 feature looking back on the first five years of Pacific Blue, the former Virgin Blue’s New Zealand-based operation. 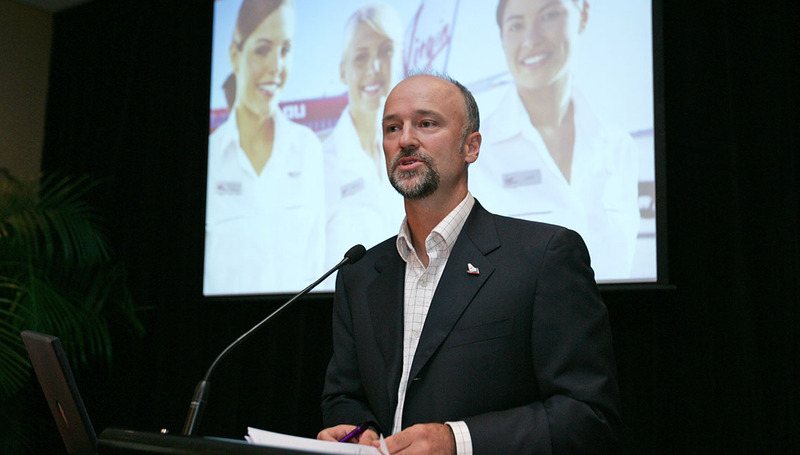 Five years since it started, Pacific Blue has grown from a small New Zealand-based adjunct to Virgin Blue’s domestic Australian services to become a major growth vehicle for the Virgin Blue Group. During those five years, it’s been a busy time for the Christchurch-based airline. After starting with one route and one 180-seat Boeing 737-800 in 2004, the airline now flies a fleet of 10 737s and offers services from ports across Australia and New Zealand to destinations in the South Pacific, domestic services in New Zealand, and more recently launched its first foray into Southeast Asia. As Virgin Blue chief executive Brett Godfrey puts it, the airline has proven a success, both to its passengers and the Virgin Blue Group. Indeed, for Virgin Blue to start flying internationally, it had to establish a new brand which would still have the same ethos and appeal of the Virgin underdog, but without the Virgin name, as an agreement with the Virgin Group and Singapore Airlines blocked the use of the Virgin trademark outside of Australia. But while the Virgin was sacrificed, little else was, with Pacific Blue’s fleet, uniforms and product almost identical to Virgin Blue’s of the times. Following months of planning, training crew and commercial preparations, Pacific Blue launched its first service from Christchurch to Brisbane on January 24 2004, and followed the Virgin Blue tradition of low fares with a NZ$99 (A$80) one-way special fare. Again, following the lead of its parent company, Pacific Blue took a major swipe at Air New Zealand and Qantas, who soon reduced their lead in fares to compete. The carrier soon added services to Melbourne and Sydney, and later opened up more flights from Wellington. As a result, it is now the third leading airline on the Australia-New Zealand market. 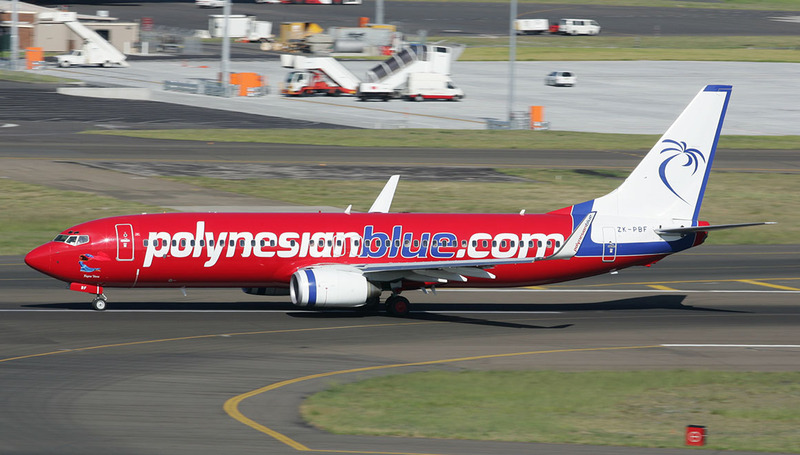 Another growth phase came in 2005, when Pacific Blue widened its net to other destinations in the South Pacific with the launch of its first flight from Sydney to Nadi, and later a Sydney-Christchurch-Rarotonga service. Major change came again in November 2007, with the airline launching its first domestic New Zealand services, initially beginning with flights between Christchurch, Wellington and Auckland, again challenging Air New Zealand and Qantas. The New Zealand based subsidiary saw massive growth in 2008, with the consolidation of domestic services in New Zealand, as well as launching a raft of new routes across the Tasman, and from Australia to the Pacific and now even Asia with the addition of services to Bali late last year. But during this time, the Virgin Blue which Pacific Blue was modelled on had redefined itself as a ‘new world carrier’, and moved away from the strict practices of a low cost carrier, by adding new products such as The Lounge, new aircraft types in the Embraer E-190 and E-170, on-demand pay-TV access and taking a more hardline approach to corporate accounts. 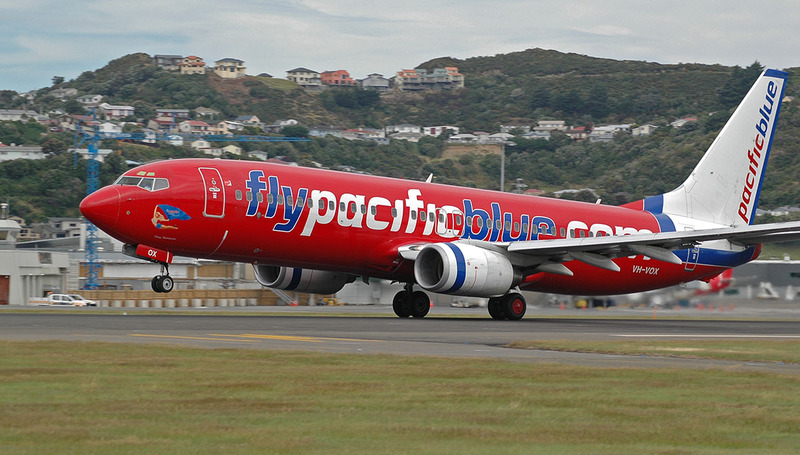 For the most part, this has not been the case for Pacific Blue, which has maintained a strict low-cost carrier strategy, with higher utilisation and the lower costs of its New Zealand base. “The move has definitely been successful for the group. Pacific Blue’s aircraft utilisation rate is very high and its CASK (cost per ASK) is very low,” Godfrey said. Nevertheless, as part of the wider group, Pacific Blue has added some frills to its services, with passengers travelling on the carrier now able to earn and redeem Velocity Rewards points. Virgin Blue also interlines baggage between the two carriers, allowing for more convenient connections from other parts of Australia. Pacific Blue has also taken advantage of codesharing opportunities, placing the Airlines PNG code on the Brisbane-Port Moresby route when it started in December last year. Virgin Blue has also recently applied to the International Air Services Commission to allow V Australia to codeshare on Pacific Blue’s services, providing feed from New Zealand to the premium carrier’s soon to be launched US services. As the carrier’s base of operations, Pacific Blue has put a large focus in growing its services from New Zealand where it has built up its brand and has continued to add to its services. The Tasman has been the key market for Pacific Blue, with services to Brisbane, Sydney and Melbourne the key focus connecting to the cities of Christchurch, Wellington and Auckland. “We entered the trans-Tasman route and despite the fact it was considered one of the world’s most competitive air routes, we believed there was room for Virgin Blue style competition, sustainable competition based on our low-cost PB business model,” said Godfrey. The success of Pacific Blue also saw Jetstar follow suit and start services from Christchurch to the major east coast cities from December 2005, while Emirates has utilised its fifth freedom rights to extend some of its services across the Tasman, adding further capacity and competition. With Pacific Blue adding more frequencies on the Tasman during 2008, and the announcement that Emirates would operate the A380 on the Sydney-Auckland route from February 2009, some analysts predicted in late 2008 that there would be a “bloodbath” on the route, which would hurt a number of airlines. However, Godfrey does not see this as an issue for his carrier. Given its strength on the Tasman, the expansion into domestic flying in New Zealand was a logical step, and was taken on November 11 2007, with the carrier initially starting services between Auckland, Christchurch and Wellington. This was followed in April 2008 by the launch of daily services from Christchurch to Dunedin. With a small population and what was perceived as a limited market already served by Air New Zealand and Qantas, taking on the domestic New Zealand market was seen as a risky move. However, Godfrey says that the experience of Virgin Blue’s domestic services in Australia gave it the confidence to go ahead. People said that Australia couldn’t sustain three airlines and we now have more than that operating here. With fares from as low as NZ$9 one way, the launch services made a major splash in the market, and caused both incumbents to also lower their fares. “We were warmly welcomed by the public and travel industry and sold our first 50,000 fares the day we made our announcement,” said Godfrey. 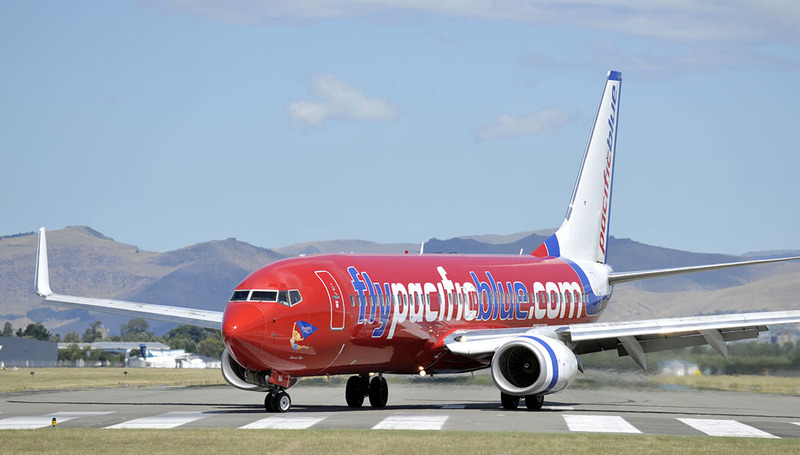 But Pacific Blue’s early success in the domestic New Zealand market has raised the prospect of further competition, with Jetstar announcing last year that it would start services from Auckland to Sydney, Melbourne, Brisbane and the Gold Coast. Jetstar’s CEO Bruce Buchanan also signalled that it would examine flying domestically there during 2009. Added to that, the on again/off again startup airline KiwiJet has stated its ambition to offer a number of services in New Zealand with a fleet of BAe 146s, although few believe that it will take off at all. Godfrey says that even with more possible competitors, Pacific Blue’s established reputation should ensure that it stands its ground. 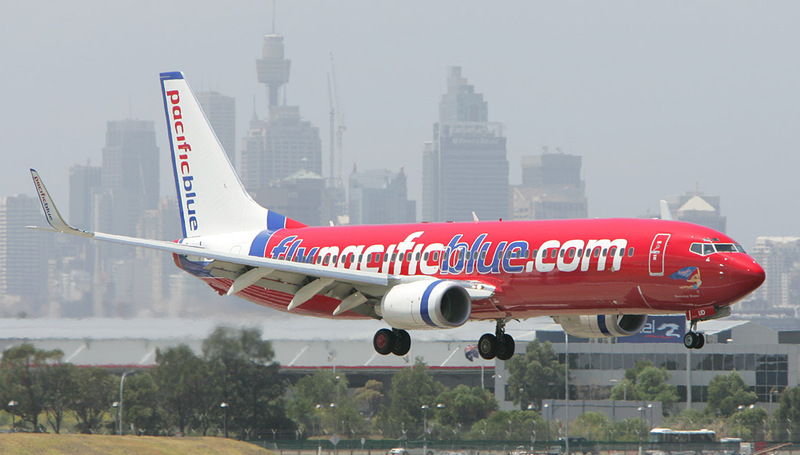 Having consolidated its position as the third largest carrier on the Tasman, the second half of 2008 saw Pacific Blue add a number of services from Australia, thanks in part to more aircraft coming from Virgin Blue. The first of that extra capacity allowed Pacific Blue to start services on November 3 from Brisbane to Port Moresby five times a week. This was later followed by two weekly services from Brisbane to Honiara on December 2, putting it in competition with SkyAirWorld and Solomon Airlines. Prior to that, the carrier had added more frequency on key Pacific routes, including Sydney-Nadi and Brisbane-Port Vila in June 2008 to cater for increased tourism demand to Fiji and Vanuatu. Another major step was the first of its services in December to Denpasar, with the airline opening up services from Brisbane, Adelaide and its first service from Perth to the Bali capital. Importantly, this saw the extension of the Pacific Blue brand into Western Australia. 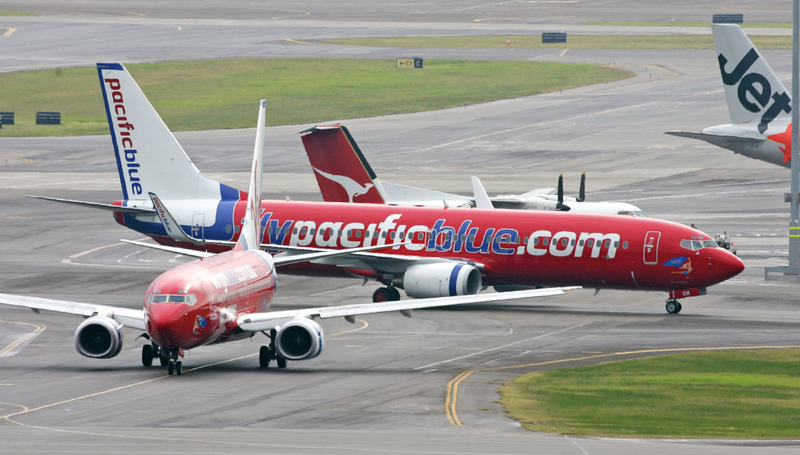 While Pacific Blue has been limited to international routes from Australia, there has been some suggestion that with its lower cost base the airline could be used by Virgin Blue to attack the leisure market which it has slightly moved away from under its ‘new world carrier’ strategy. The suggestion gained some major credibility in 2007 when Godfrey publicly stated that the airline was looking at the possible launch of an ‘Ultra Low-Cost Carrier’, but later shelved the idea. When asked, Godfrey admitted that should it pick up the ULCC concept later on, it would be in the same vein as Pacific Blue’s operating model, and could even use the New Zealand carrier’s operating certificate. As well as its own services, Pacific Blue also functions as the structure for managing the Virgin Blue Group’s interests in its joint venture with the Samoan government, Polynesian Blue. Since starting services in October 2005, Polynesian Blue has been successful in turning around the loss-making jet services of Polynesian Airlines into a profitable carrier which has increased the number of tourists visiting Samoa. Today, Polynesian Blue operates a single 737-800, ZK-PBF, which flies from Apia to Brisbane, Sydney and Auckland, with the aircraft in the same configuration and offering a similar product to Pacific Blue. The aircraft is also flown by Pacific Blue crew. Godfrey notes that under the guidance of Pacific Blue, the Samoan carrier has performed strongly. “The fact that last year Polynesian Blue made a record profit of over NZ$9m (A$7.3m) was a very positive milestone,” he said. With another stage of the expansion of the Pacific Blue brand now completed, the Virgin Blue Group is placing its focus on the launch of V Australia. However, Godfrey says that it will still keep the New Zealand subsidiary growing along the same formula. “Pacific Blue has proven itself to be a very profitable and successful addition to the Virgin Blue Group and so we want that to continue – we won’t be messing with an airline that’s doing its job well,” he said. While the global economic situation has been a cause for concern for almost every carrier, Godfrey sees that Pacific Blue should actually benefit at the cost of the other carriers. And with the domestic Australian market still showing some signs of soft yields, Godfrey hasn’t discounted moving more 737s across to international operations to capitalise on higher yields there. “We’ll always look to maximise our revenue with the assets that we have, so if that means transferring more capacity to our international routes if domestic routes are softening, then we’ll do that,” he said. In terms of further network expansion, Godfrey is coy, but points to a possible increase in Pacific Blue’s footprint in Asia, possibly increasing its competition with Jetstar which has been using its A320 narrowbodies to grow services from Perth and Darwin into Asia. “The expansion into Bali from Australia is also going well and there’s probably some further opportunities in Asia for the airline,” he said. 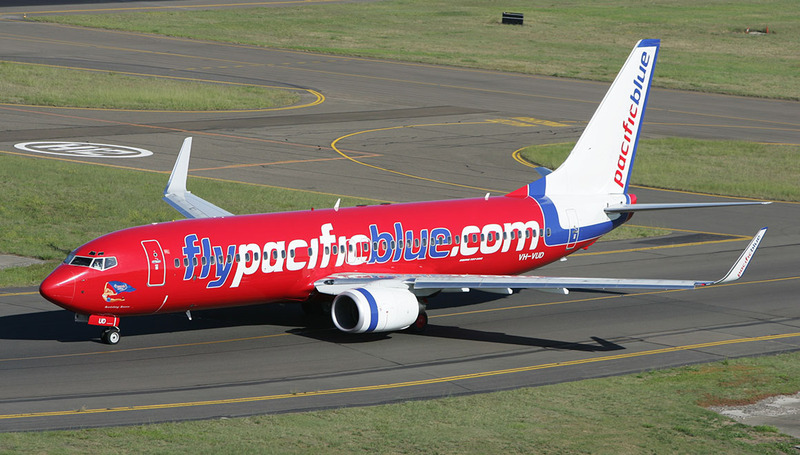 Overall, with Pacific Blue continuing to perform well for its parent company and maintaining its low-cost base, the airline appears to be set to continue spreading the Blue brand around the Pacific and Southeast Asia. This article originally appeared in the March 2009 magazine edition of Australian Aviation. To read more stories like this, subscribe here.